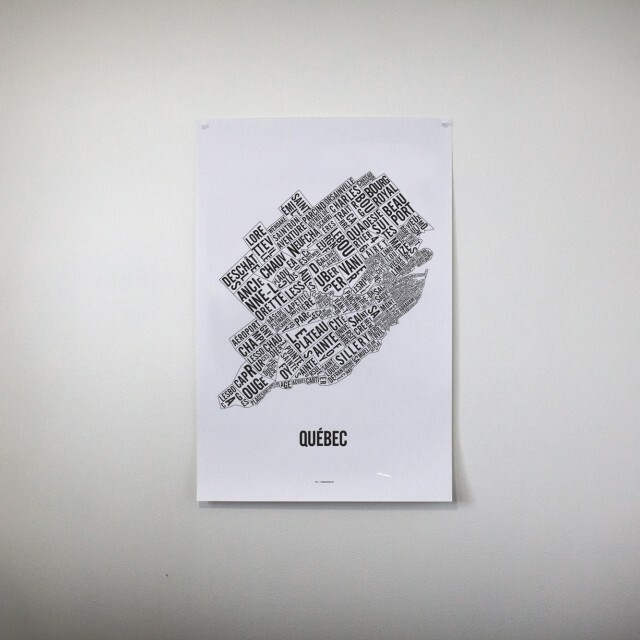 Each poster is hand printed using the screenprinting technique. 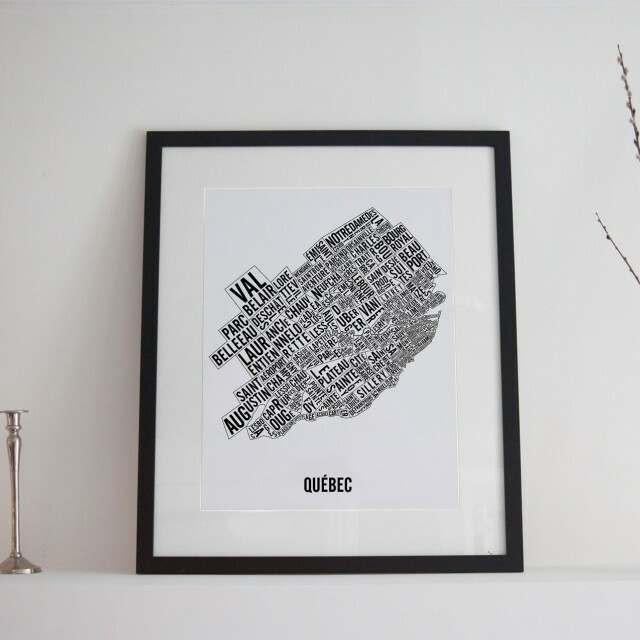 It makes each print unique and of much nicer quality than a regular offset print. 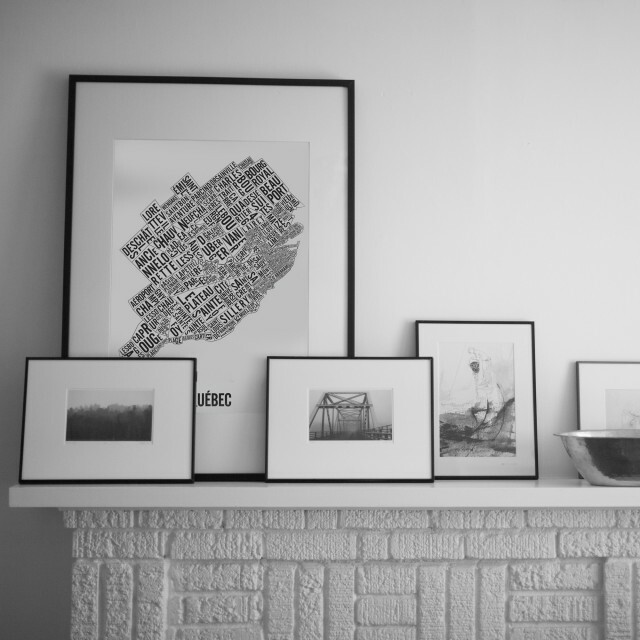 Each print is signed, dated, stamped and numbered. 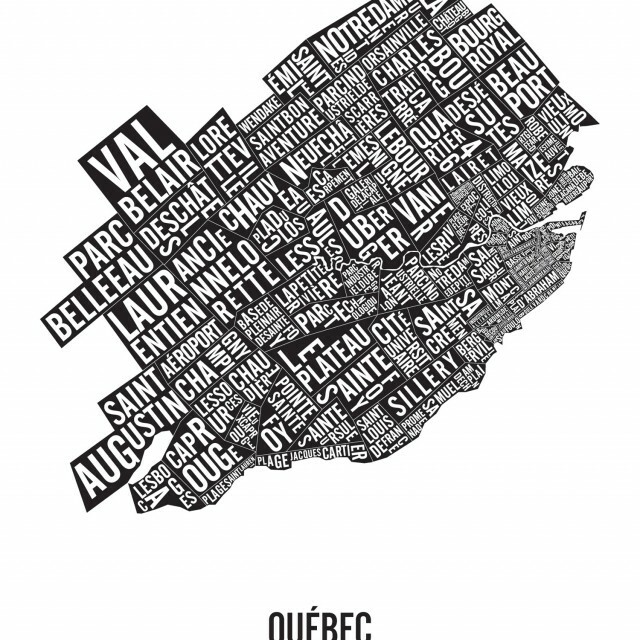 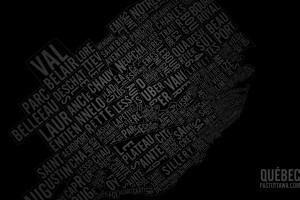 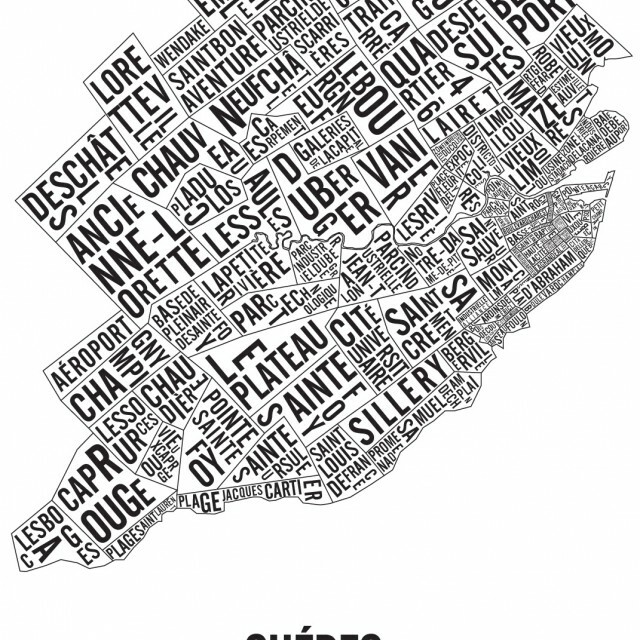 The Quebec city map poster is available in different formats and colors starting at $35 plus shipping fees.